As many sports organizations have realized, heritage is an asset that can be used for a variety of needs and in numerous circumstances. We have seen many kinds of ways heritage have been used in sports, from throwback apparel and uniforms to retro stadiums to nostalgia-based events and experiences (like fantasy camps). Many teams, such as the Chicago Cubs and Boston Red Sox, also view their historic stadiums as assets which provide both cultural capital as well as economic benefits (the Red Sox have the second highest revenue generating ballpark in MLB, despite the capacity, in large part because of Fenway’s history and heritage). When a team moves venues, often for economic reasons, there is normally a celebration of the old venue. Often, as in the case of Yankee Stadium, Anfield, or the Montreal Forum, the old stadium was beloved and reflect the fact that – paraphrasing sports geographer John Bale – sports stadiums are more than utilitarian structures and many supporters feel a strong sense of attachment to them. In the case of both the new Yankee Stadium and the Molson Centre (which replaced the Montreal Forum), care was taken to provide a blend of old and new – where the new venue has either direct references or explicit echoes to the previous stadium (as Anouk Belanger notes, the Montreal Canadiens had a parade of ghosts from one venue to the other). There was generally an acknowledgment by the teams that, though fans loved the old venue, the new venue would provide the club much needed benefits while also maintaining the sense of place and tradition. 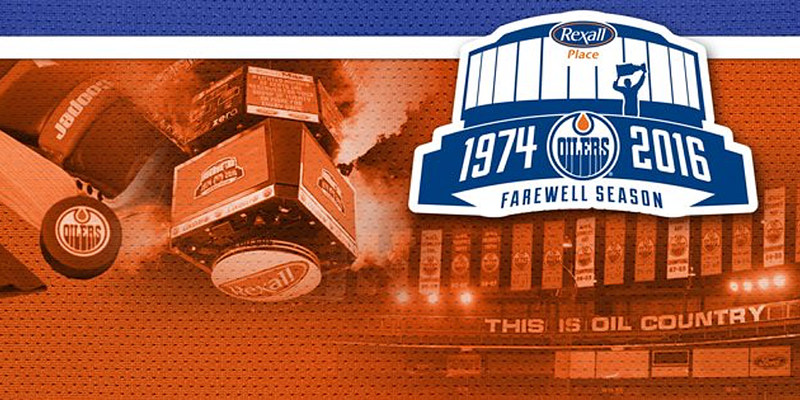 However, this year there are two examples of teams celebrating the final seasons at venues that – to employ an overused phrase – they “threw under the bus.” The Edmonton Oilers, who are set to move to the new Rogers Place in Fall of 2016, are celebrating the final season in their longtime home, Rexall Place (nee: Northlands Coliseum; Edmonton Coliseum; Skyreach Centre). Rexall Place, architecturally, is unimpressive, but as a venue that has hosted numerous notable events – particularly as a hockey venue – it undoubtedly has broad historic value. However, in securing a new arena deal, the arena was denigrated as “antiquated and outdated“. In fact, there appears to have been little mention that the venue had any heritage value at all until the “Farewell Season” commemorations were announced. 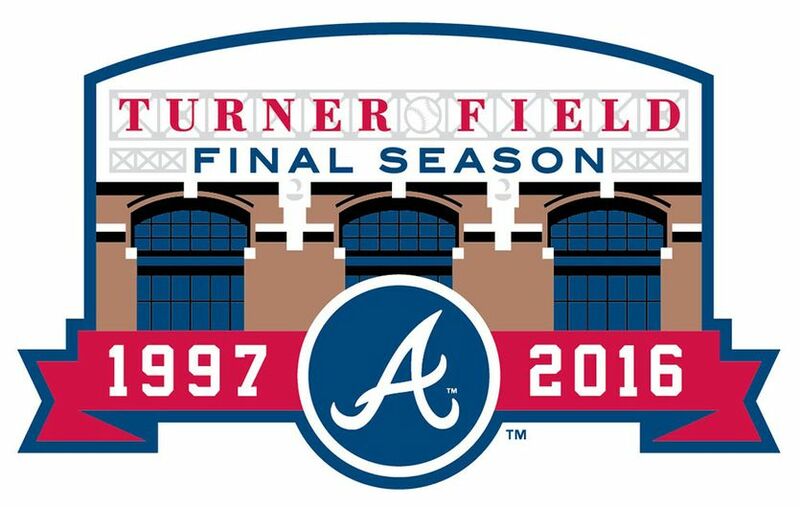 Similarly, the Atlanta Braves are set to commemorate the final season at Turner Field during the 2016 season. The Braves inherited Turner Field, as it was previously built for the 1996 Olympics then converted to a baseball stadium. As such, the Braves were never particularly fond of the stadium or location, and so a celebration of the final year at a (shockingly recent) venue is a bit odd. Celebrating the final season at a venue can have benefits for both team and spectator. For the team, it can provide an additional revenue stream through memorabilia, as well as an incentive to come to games that season. For fans, it allows them to experience the venue one more time, relive memories, and provides a transition to the new stadium. The tone of both the Oilers and Braves commemorations are a little different though, in that neither organization will shed a tear for their old venues given the apathy and, in the Oilers case, hostility towards their former homes. While I suspect the teams would have had commemorations anyway, the fact that both are teams have had or are expected to have little success in their final seasons, the heritage angle to “visit one last time” is probably an effective motivator for fans to go to games, purchase merchandise, and perhaps acquire memorabilia like seats, turf, signage and the like after the final out/whistle. It is the one season when, very likely, “just being there” rather than victories is incentive enough for fans to turn out. That said, these two celebrations this year come across as slightly hollow, particularly when compared to how other teams have seemingly handled these occasions. By Gregory Ramshaw in baseball, heritage, hockey, sport heritage, stadium on January 5, 2016 .